We remind you of our Open Day which will be held on Saturday, 9th May from 10am to 4pm. We hope to see you there and please invite your families and friends to have them discover our beautiful Pully campus. You may have seen in Le Temps on 24th April, in the section about Private Schools, a one-page advertisement for the Collège. 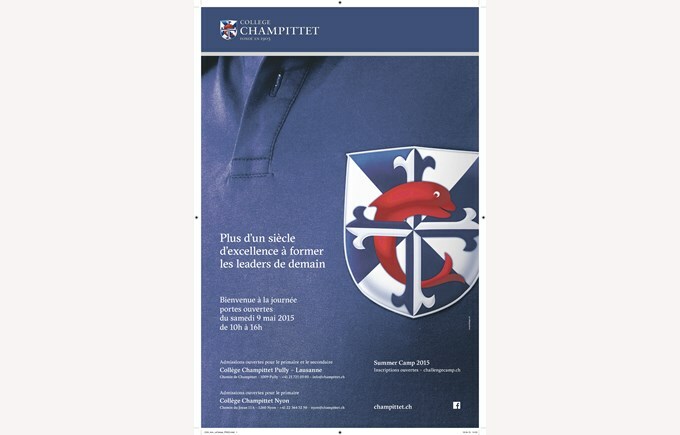 By this image, we want to mark the revival of Collège Champittet, serving the Lausanne community, opened to the world. The polo symbolises our identity, our traditional values ​​as well as our mission to educate tomorrow’s leaders.